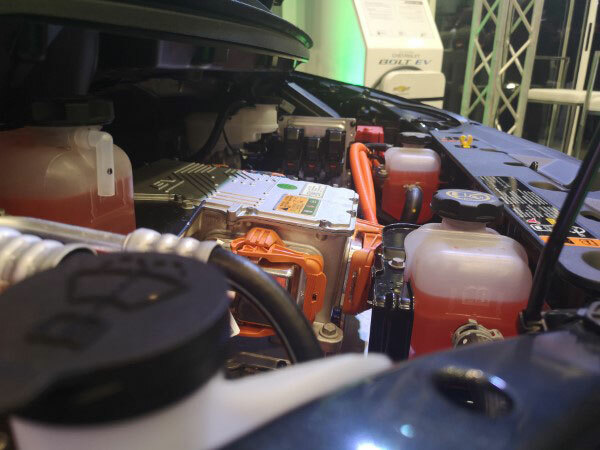 June 2018 marked the release of a government decree eliminating customs on EVs completely. January the 23rd 2019 marked the first official introduction of a full-sized Electric Car to Lebanon. 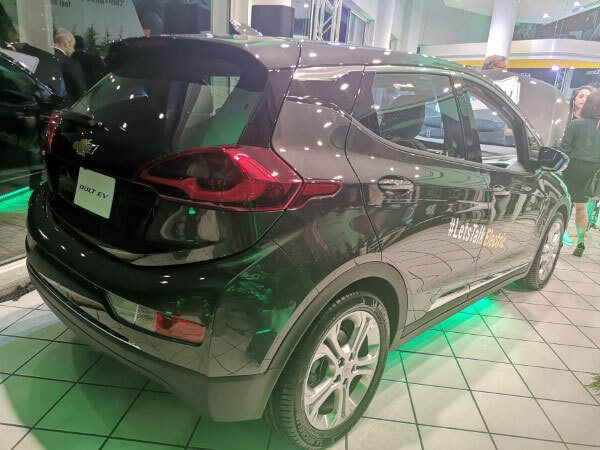 It happened at IMPEX Badaro Showroom, where a speech was given by the company's GM, Mr. Farid Homsi prior to revealing two Chevrolet Bolts to the public. One wore a Summit White color, while the other wore what seems to be called "Nightfall Gray Metallic" color. 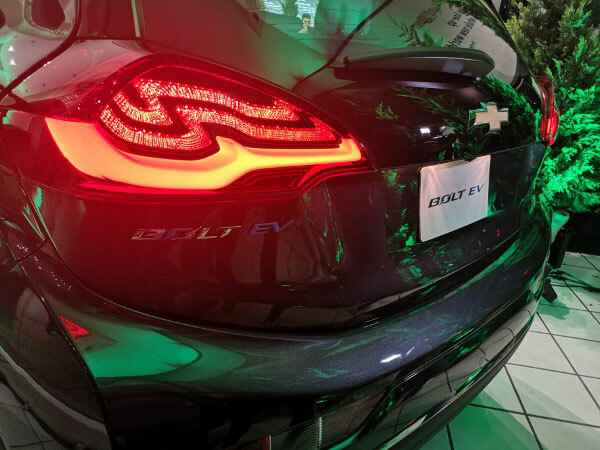 The Chevrolet Bolt is a car that redefines what electric means, and with its 520 Km range on a full charge, it might be the answer to the lack of practicality and infrastructure in Lebanon. How long does it take you to drive 520 Km? That's how long you can drive without refilling. If you drive 50 Km a day, you can drive the Bolt for 10 days without recharging. Another interesting aspect about the Bolt is power. It churns out 204 HP, but what impresses is the 360 Nm torque figure. That's 20 Nm less than a V6 camaro! Torque, for those who do not know, is the rotation force of the wheels. It's what basically gives you that feeling of being pulled back when accelerating. The Bolt manages a 0 to 100 in 7.3 s, but the most rewarding feeling of driving would be "instant torque", the feeling of power as soon as you put your foot down. Only one variant of the Bolt is available. It's priced at $52,500 including VAT and Registration. In the U.S. it starts at $37,000 in its entry level variant. You can benefit from 3.88% credit facilities. The price includes 3 years of service as well as the Level 1 charger. You should note that the Bolt's major achievement is the 520 Km range which is better than a Tesla Model 3 and almost double the range of a Nissan Leaf. EVs are still on the expensive side, and should not be seen or compared directly with petrol cars for example. EVs also focus more on being an EV than offering a lot of extra luxury bells and whistles. And at being an EV, the Bolt excels. It even won a minimum of 37 awards so far from independent media over the world. Next we talk about charging. The Bolt has two charging options: at 6 Amp or at 10 Amp, so you better have a decent generator (eshtirak) subscription of at least 10 AMP if you fancy being an owner.